Testing is showing more and more that eco-friendly HVAC units perform better mechanically and last longer than older traditional models. Sustainable buildings are becoming less costly to maintain, which is expected to lead to an increased demand for energy efficient certified equipment. The demands placed on heating, ventilation, air conditioning and refrigeration (HVAC/R) systems are constant and strenuous. Customers expect their HVAC/R equipment to run safely, reliably, and efficiently for many years beyond purchase and with minimal maintenance. Brand perception and reliability are crucial factors in the purchasing decision, and customers are actively searching for assurance that they are making the right decision. 60730 safety standard for household appliances. In addition, as the world becomes more connected and HVAC/R systems become part of the “smart home” ecosystem, cybersecurity becomes more important. We can provide thorough cybersecurity testing for added peace-of-mind. Breadth of services: The key certification programs we offer include CSA Mark for USA/Canada, CB Scheme, Energy Efficiency Verification (EEV), and ENERGYSTAR®. In addition, we can conduct private testing for R&D development projects and evaluations for added safety and security such as functional safety and cybersecurity. We are accredited by organizations such as SCC, ANSI and OSHA. The demands placed on HVAC/R equipment are strenuous. Trust the experts who deliver high-quality testing certifications, helping you go to market with confidence. Make sure your furnaces have the testing and certification that CSA Group conducts, giving you access to more projects and markets worldwide. Trust CSA Group’s expertise to find the right standards solutions that prepare your air conditioners for efficient, effective usage in wide-ranging projects. 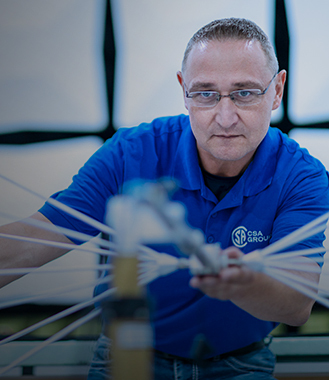 Using our breadth of services and solutions, we’ll test and certify* your ventilation products, readying them for new markets in the simplest, most efficient way possible. When your heat pumps earn the CSA Group mark, customers in markets all over the world know it’s tested, certified, and a safe and reliable product. CSA Group offers the highly specialized testing, inspection, and certification to ensure that your refrigeration equipment meets the requirements of global markets. The demand for household appliances is increasing in South America and Mexico. Understanding the complex regulatory environment and compliance requirements is critical to getting your appliance products to this growing market. Get the right standards for your HVAC/R equipment to gain local market access. CSA Group is one of the largest certifiers of gas-fueled appliances and equipment. We have extensive experience in developing standards for a wide range of HVAC/R components for local markets worldwide. Many of those standards are harmonized with other standards development organizations to encourage wider adoption. 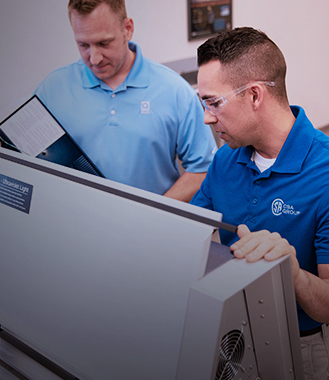 The key standards we test against include CSA, IEC, EEV, UL, and ENERGYSTAR®. CSA Group is trusted by businesses across industries and around the world, ensuring the quality of everything from nuclear power plans to consumer appliances. CSA Group’s testing services help businesses transform brilliant innovations into quality products that meet critical safety requirements. CSA Group certifications enable business to break into new markets, launch innovative new products, and boost customer confidence through the trusted CSA mark. Demonstrate your commitment to product safety - even when certification is not a viable option - with a one-time quick and efficient field evaluation.